The only Cassoulet recipe you'll ever need? FrenchEntrée > Living in France > Food, Cuisine and Recipes > The only Cassoulet recipe you’ll ever need? Why does everyone make such a big deal about cassoulet and which is the best complicated cooking method? It is simple peasant fayre, and you will get similar results from cooking it in various ways. Perhaps creating this bean and meat casserole was traditionally such an occasion because the ingredients were precious and the most had to be made out of them. By ‘most’ I mean quantity and calories. 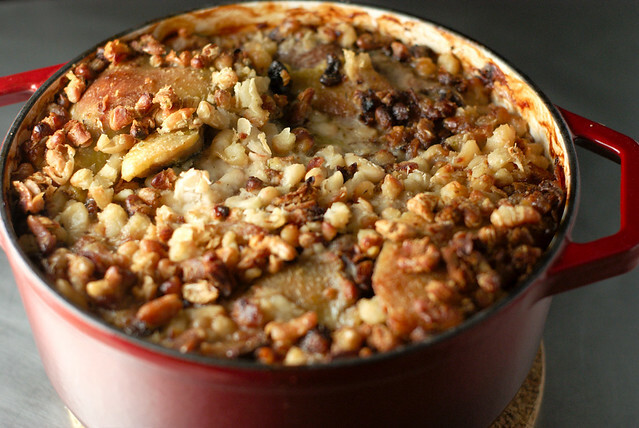 Having said all that, cassoulet can be a tasty and comforting winter meal, and definitely worth trying. • 1 tin of haricot blanc/coco beans (or the equivalent quantity of dried beans, which have been soaked and boiled with herbs, garlic and onion until soft. I use the dried version because of the taste they get from cooking in the flavoured water, but this is a lot more hassle than opening a tin!). • Either a cast iron casserole pot (e.g. ‘Le Creuset’), or a frying pan and a glass or ceramic casserole pot. The advantage of the cast iron option is that you can do all the cooking in the one pot. • 2 Toulouse or other coarse sausages. • 2 strips of pork belly, 0.5-1cm thick. • 2 duck legs, cooked (Ideally ‘confitted’ – cooked in duck fat for a couple of hours – but fried or roasted is fine). • 2 cloves of garlic, crushed. • A good dollop of tomato purée or 3 fresh tomatoes, chopped. • Olive oil, butter and/or a little duck fat. • A pint of water or, preferably, chicken stock. The key to my easy cassoulet is not lots of stages and processes, but to cook it for long enough for the liquid and fat to emulsify completely, and a crispy crust has formed. • In either the cast iron pot or a frying pan, heat a couple of glugs of olive oil with a nugget of butter and/or a nugget of duck fat. • Fry the sausages and pork (and duck if you haven’t already cooked it and if you want extra duck fat). • Take the meat out, and gently fry the onions until they are soft. • Put the meat in the pot, pour in all the beans, top up with the water or stock, to just cover the other ingredients. • Lid on, cook the stew in a medium oven for at least 1 hour. Stir it occasionally and top up with water or stock to keep it moist. When the cassoulet is cooked, it should not have any see-through liquid coming out of it, but everything should be coated in creamy goodness. Generously season according to your taste, and put back in a hot oven, uncovered, for 10 – 20 minutes, until a crispy crust has formed. • Serve with a green salad and a crisp white wine or strong red. And crusty french bread, if you can handle more food.